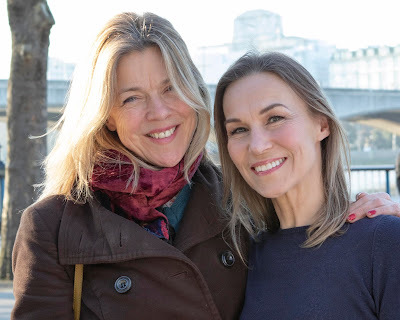 In James Fenton’s adaptation of Cervantes’ 17th Century classic, the fabled antics of Knight Errant Don Quixote are given a contemporary understanding that still preserves the original’s richness. 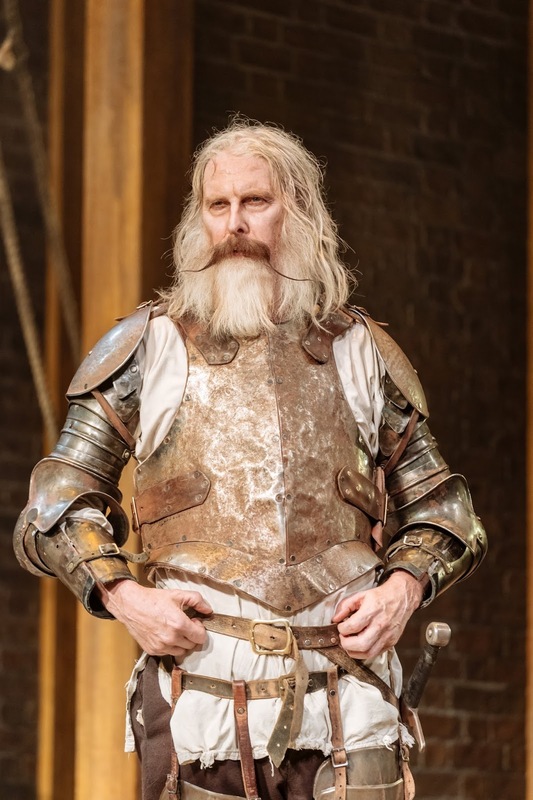 David Threlfall is the aged Quixote, climbing onto the Garrick stage from the stalls in the first of the show’s many “Fourth Wall” breaches and is, quite simply, magnificent. Robed and biblically bearded, there is something of the Billy Connolly in Threlfall’s appearance which only underlines the tragi-comedy that driving this curious yet also intuitive take on ageing and fantasy. Threlfall captures the essence of Quixote - driven by proud self belief, and yet slowly being deprived of his mental faculties. His is a performance of the utmost sensitivity, perfectly nuanced in both physical presence and emotional magic. Of course the relationship between Quixote and his manservant Sancho Panza is one of the oldest double-acts in literature, a pairing that might well have inspired the latter day genius of Blackadder and Baldrick. Rufus Hound plays Panza and his casting is perfect. Amidst scripted and (when the fire alarm sounded on press night following mismanaged onstage pyro effects) ad-libbed audience interactions, Hound provides the perfectly tipped foil to Threlfall’s straight-guy, his common touch bouncing off the elderly would-be patrician. And whilst Panza’s coarseness contrasts with Quixote’s chivalry, Hound skilfully demonstrates that both men share a resolute moral code. Cynical, corpulent and always caring even if often underpaid, Hound’s Panza remains as lovingly loyal, as he is perceptive - with his devotion proving a bittersweet background to the play’s final act. There is lovely work all round from Jackson’s company. Richard Dempsey’s Duke captures the mildly cruel foppishness of Spain’s aristocracy, while Natasha Magigi as Sancho Panza’s wife Teresa, surrounded by a bevy of wailing (marionette) infants puts in a neatly detailed, even if caricatured, glimpse of the manservant’s background. Robert Innes Hopkins’ design is unpretentiously clever, with state of the art stagecraft mixed in with deliciously simple, centuries old puppetry. Windmills are cleverly tilted at and sheep are brilliantly battled, and when Quixote finally ascends to the heavens, the charm of his flight lies not in the obviously visible harness - but rather in the simplicity of its gorgeous imagery. The music is delicious too, with Grant Olding’s Latin and flamenco themed compositions (under Tarek Merchant’s baton) only adding to the tapas-like spread of treats that the evening offers. If the moments of excessive boisterousness make for minor occasional distractions, they are trifling. The RSC’s Don Quixote has well deserved its transfer to the West End - it is poignant, funny, and perfectly played. Brilliant theatre!